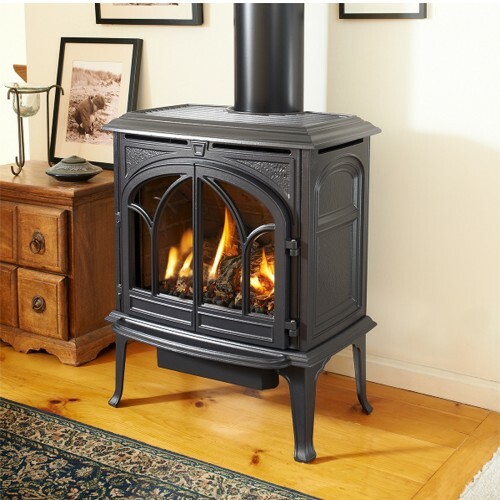 This is a medium sized cast iron gas stove with a traditional design. It is the best selling gas stove in the long history of Jøtul and it presents the perfect union between high efficiency and cast iron beauty. The Jøtul GF 300 has the open door fire viewing feature so that you can see the whole flame picture by opening the double doors.